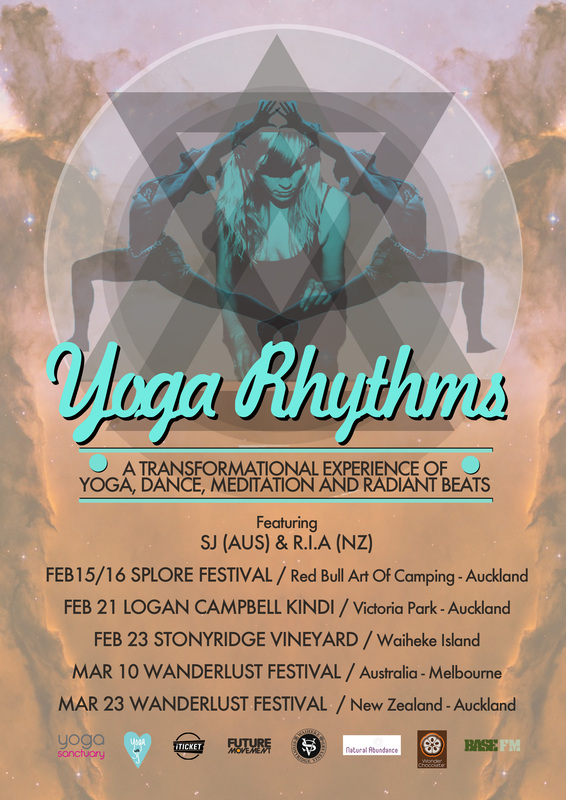 The YogaRhythms debut is coming to Splore this weekend, then carries on for a mini Auckland tour! Sj and I have poured our hearts into creating something that is different, new and fresh for those that adore yoga, dance and mindful living. Its kind of nerve racking considering we’ve done one show previous to this, and that was at Burning man, with no real equipment or direction. This time it’s different. Both coming from a musical background, i can’t wait to present a DJ set scored to a yoga/flow/dance session with SJ. SJ will be mic’d up with a madonna head set, and I will be lacing the beats over SJ’s dynamic class.